Vnitage UK, an imprint of Penguin, will be releasing three new hardback designs of James Bond novels in time for Christmas this year. 'Casino Royale', 'Live And Let Die', and 'Goldfinger' were selected as the 'best-loved' Ian Fleming novels according to Vintage Editor Nick Skidmore, although many fans could argue that 'From Russia With Love' and 'On Her Majesty's Secret Service' are far more deserving than the latter two selections. The covers themselves were created by Budapest-based graphic designer and illustrator Levente Szabó and pull together the central characters and motifs from each book into a silhouette of the villain. 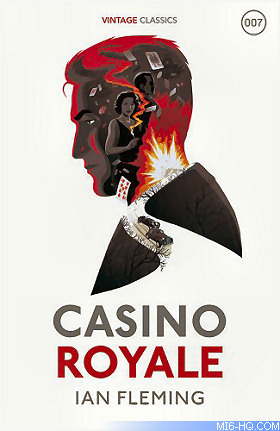 The design for Casino Royale combines the urgent energy of the car chase sequence with the smouldering atmosphere of the casino at Royale-les-Eaux. A whisper of love and a whisper of hate, the all-important nine of hearts from Bond’s baccarat showdown with Le Chiffre, cascades down to meet an explosive finish which reflects the action and tension of the novel perfectly. 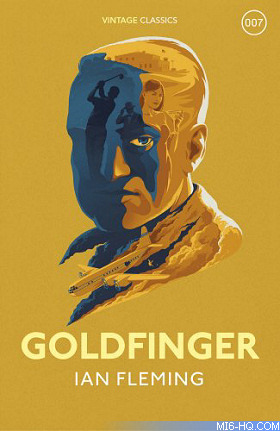 The design for Goldfinger showcases the novel’s famous golf scene with the unmistakable shadow of Oddjob watching Bond’s every move. The plummeting stratocruiser adds texture and danger to the design and is melded together with all the other elements to form the silhouette of Goldfinger with his sinister and impenetrable gaze. 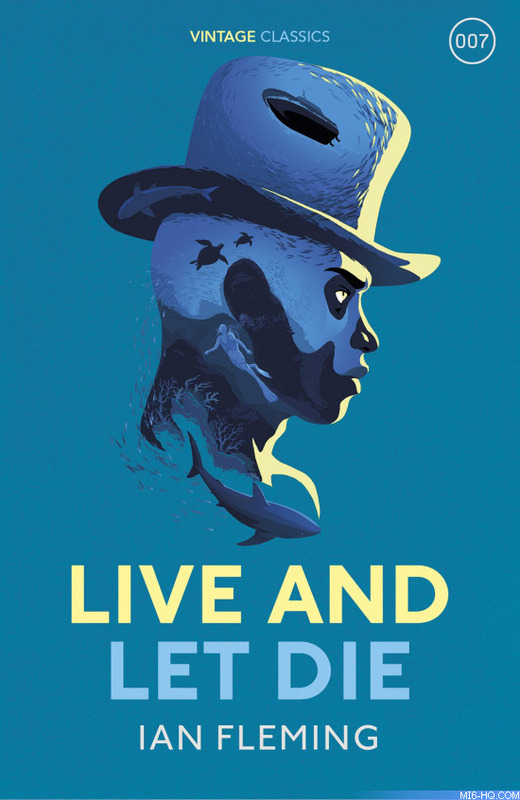 Live and Let Die uses a beautiful colour palette to depict the night dive 007 must make to try to thwart his enemy. Shoals of fish dance around Bond as he makes his way towards Mr Big’s boat, the Secatur, while the silhouette evokes the omnipresent malevolence of voodoo which plagues Bond’s mission. All three hardbacks will be released on 2nd November 2017 for £12.99 each. Opinion What does 2017 have in store for James Bond in film, books, comics, videogames and collectibles?